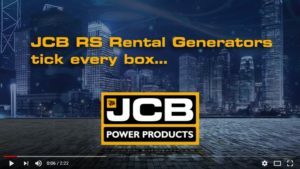 When you need to be confident that your power source is reliable, efficient and high performing; JCB’s New RS rental generator range can generate the power and confidence you need, wherever you operate. These British-built generators provide innovative, efficient design, cutting edge engine technology and market-leading telemetry. 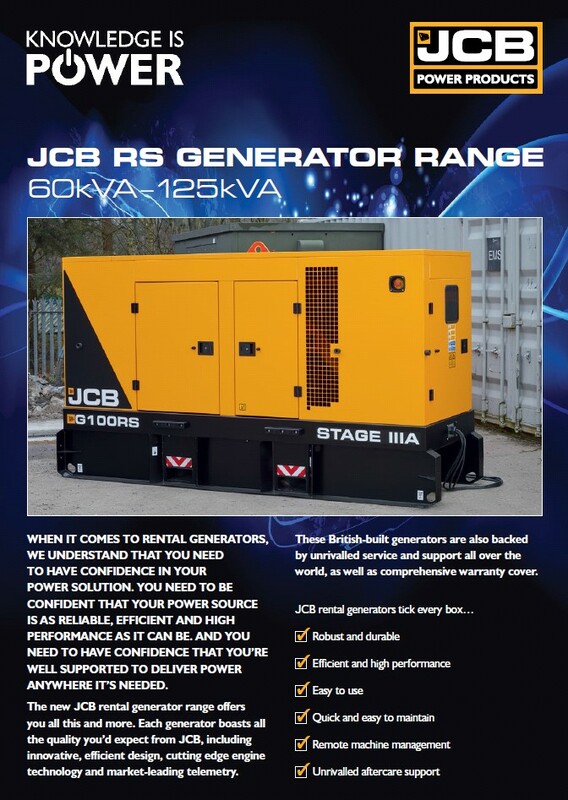 Providing power from 19 – 1250kVA, each generator boasts all the quality you’d expect from JCB. In order to provide the most efficient power supply, we build our rental generators with premium engines from manufacturers like Yanmar, JCB, John Deere, Volvo and Cummins. 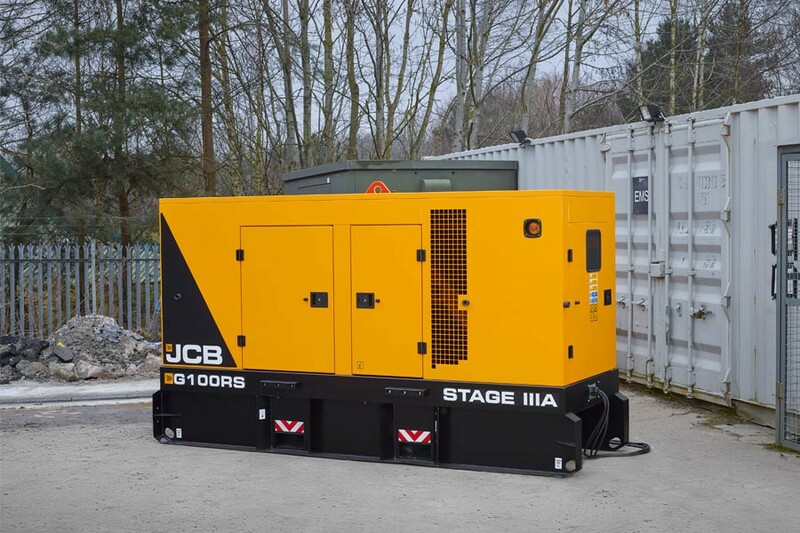 We recognise that every application is different, which is why the RS generator range can provide prime, standby, load share or auto start power, to provide the most flexible and versatile power, so you’ve always got the right solution for your needs. 2. Heavy-duty corrosion resistant steel canopy protects the whole generator. 3. Large lockable doors on each side of an RS generator provide easy and secure access to key service points. 5. Durable bunded base with 110% overfill capacity to reduce site contamination in the event of a leak. 1. Every JCB rental generator is housed in a robust canopy or container made from heavy-duty corrosion resistant steel. This protects your investment throughout a rental application, both onsite and during transit. 2. There’s a heavy duty oversized baseframe, complete with robust anchor points so you can secure your generator properly during transport. 3. Oversized fork pockets with large rubber buffers protect the baseframe when you’re lifting the machine. 4. Opt for a heavy-duty chain pull bar to give you even more ways to move your generator on site. 1. Engines and alternators are set up to work in perfect harmony to provide a JCB Generator that provides the ultimate efficiency and excellent load acceptance. 2. Because we only fit the best engines to our generators, we only use world class componentry alongside, from suppliers like Mecc Alte and Deep Sea Electronics. This enhances efficiency and performance. 3. For extra peace of mind, our warranty is there to provide you with the exact cover you require for your generator use. 1. So that you can get the power up and running quickly and easily on any site, the RS range is intuitive to use. The distribution panels, sockets and busbar are all housed in the same place. 2. We’ve made our generators as compact as possible, so that you can transport your power easily and move more units at once. 3. Our clear and informative control panel provides all sorts of at-a-glance machine information and clear prompts. To aid onsite management, you can check the display through a window. 1. There’s a locked access door to keep the distribution panels, sockets and busbar safe. 2. For even greater safety, you’ll find an auxiliary socket box and an MCB-protected socket box as standard. 3. Fan guards and hot surface guards are fitted to the RS generator range as standard to maintain operator safety at all times. 1. We’ve fitted these generators with internal fuel fill points with high level vents to reduce spillage and arge 24-hour fuel tanks as standard to reduce filling intervals. You can opt for a 48-hour tank for even longer working stints. 2. A three-way fuel valve means you can use your generator with external or high capacity fuel tanks. 3. Uniquely, RS generators have a fuel tank inspection hatch to make life easier for operators carrying out routine checks. 1. 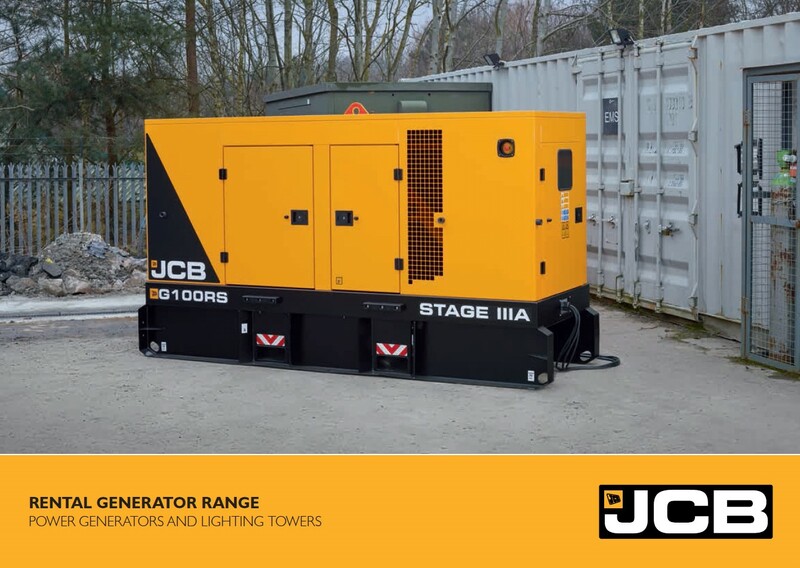 JCB LiveLink for Power is fitted as standard on all rental generators over 60kVA to provide real-time information like fuel levels and service notifications to keep you in complete control. 2. LiveLink lets you monitor and manage your generator remotely via web, email or phone to provide the ultimate fleet management tool. 3. Get quick, easy access to performance reports, fault diagnostics and more to optimise your generator’s performance.